“Small shop, Big smile” is a campaign promoting small, specialized shops in the city of Eindhoven. It consists of a poster, a booklet with a map of small shops’ locations and a memory game. 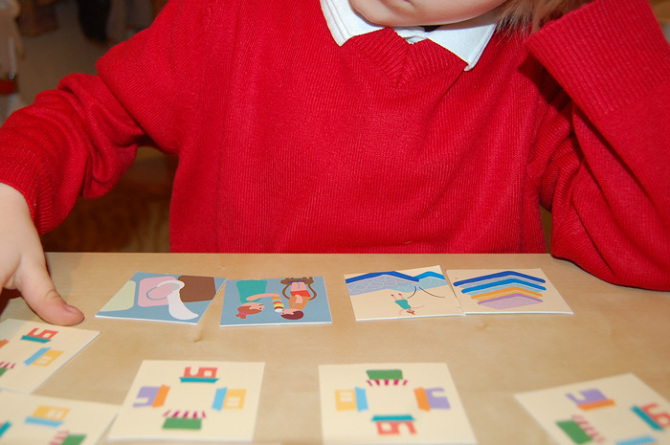 Booklets are given to people with children to invite them on a journey to discover interesting independent shops. They contain a story about two children who got bored while shopping in a supermaket, so their mother took them to visit small shops. 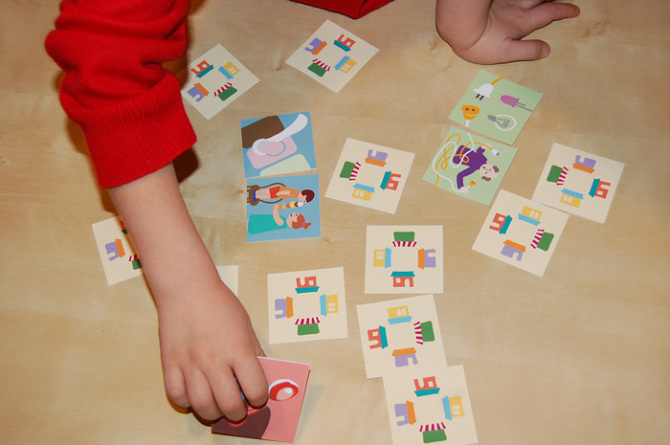 There they learnt about different crafts and professions and their little adventures are illustrated on the memory game cards. 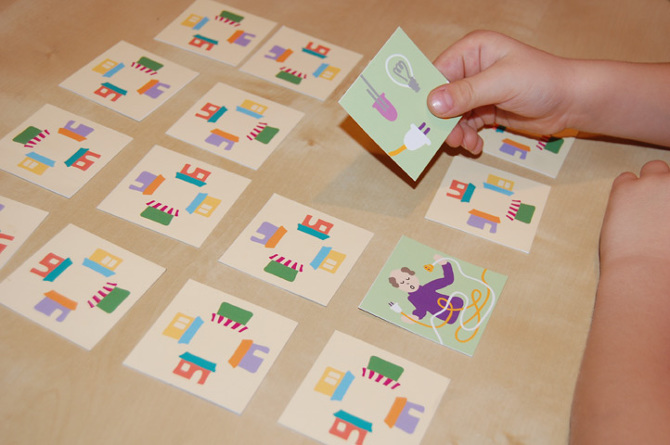 By visiting shops from the map (in the booklet), children can collect new pairs of cards to expand their memory game and their knowledge about “where things come from”.